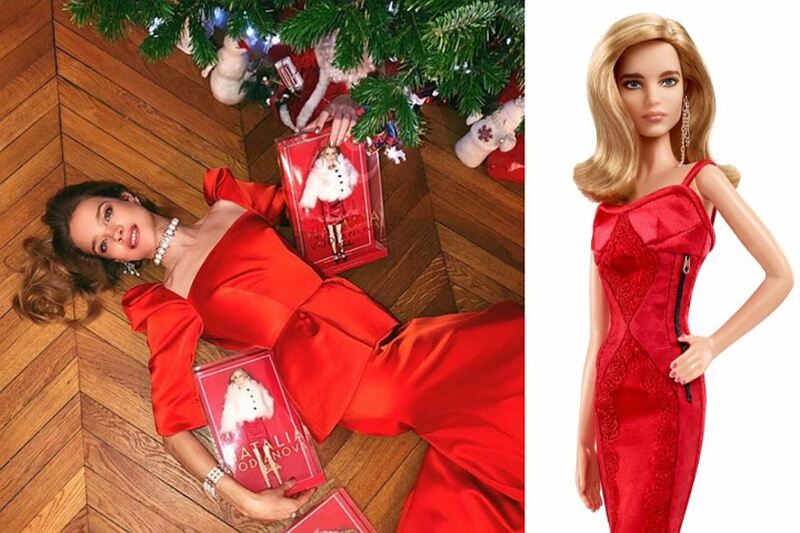 Barbie doll "Natalia Vodianova ", available for sale this year, is a gift for fans and collectors, who immediately fell in love in it and appreciated the workmanship of doll itself and her haute couture dress. Collectible "Little Vodianova" wearing a gorgeous dress and white coat: an outfit for her designed creative director of Louis Vuitton, Nicolas Ghesquière. The doll wears elegant black Kitten heels. Russian Barbie packaged in a stylish transparent box inscribed in golden letters «NATALIA VODIANOVA Barbie». 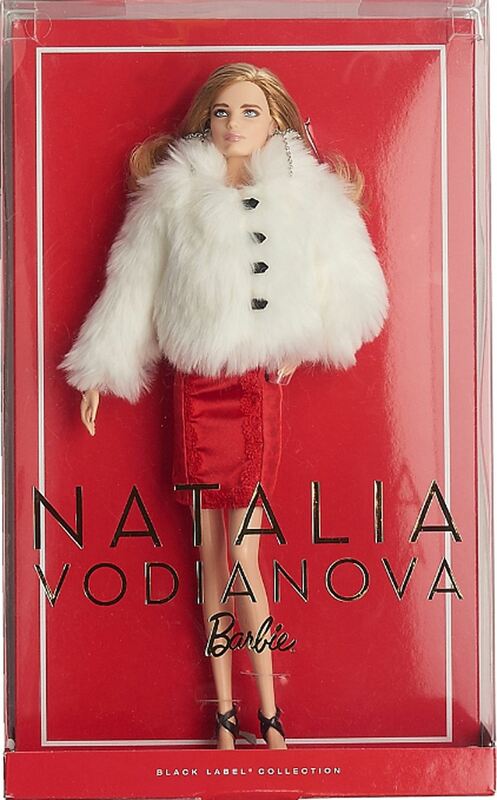 Small "Natalia Vodianova" was released by Mattel - producer of the legendary Barbie doll. This is the first project of its kind in Russia, when the prototype of the doll has become a particular person. Barbie doll "Natalia Vodianova" limited edition in 2017. The doll is packaged in a stylish box. Photo: "Auchan" Store website The doll is packaged in a stylish box. Initially, the price of Barbie "Natalia Vodianova" was about six 6000 rubles (aboy $100) in Russia, but now, on the eve of the holidays, some shops offer a doll with a huge discount. By the way, part of the proceeds from the sale of each of such Doll enters the "Naked Heart" Fund on the establishment of a system of free services for families with children with disabilities, and building of inclusive playgrounds for children of all ages and abilities. " - Life in plastic, it's fantastic. The first Russian Barbie is dressed in a chic dress by Louis Vuitton. Many followers made their comments about Vodianova doll. - Oh, what a beautiful doll! I fell in love with it the first time I saw it. - wrote user faechkainsta. - We have such a doll !!! It is fantastic! Like you, Natasha, - shared heleneloz. Som e Internet users, however, do not see the similarities between supermodel and Barbie. - Natasha, you do not look like a doll, you are 1,000 times more beautiful - wrote lesya_kasparova.